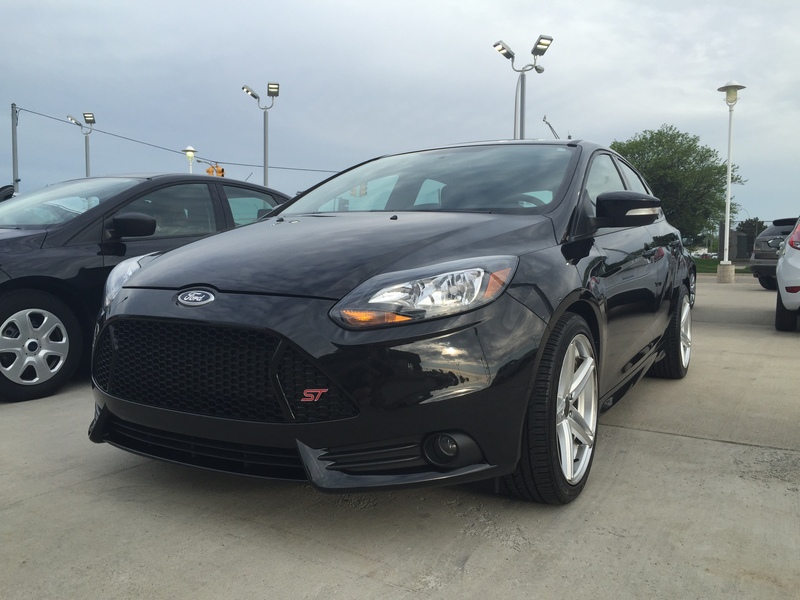 After owning my 2013 Ford Focus ST in Tuxedo Black for about 8 months, I decided to create this thread to document the progress. 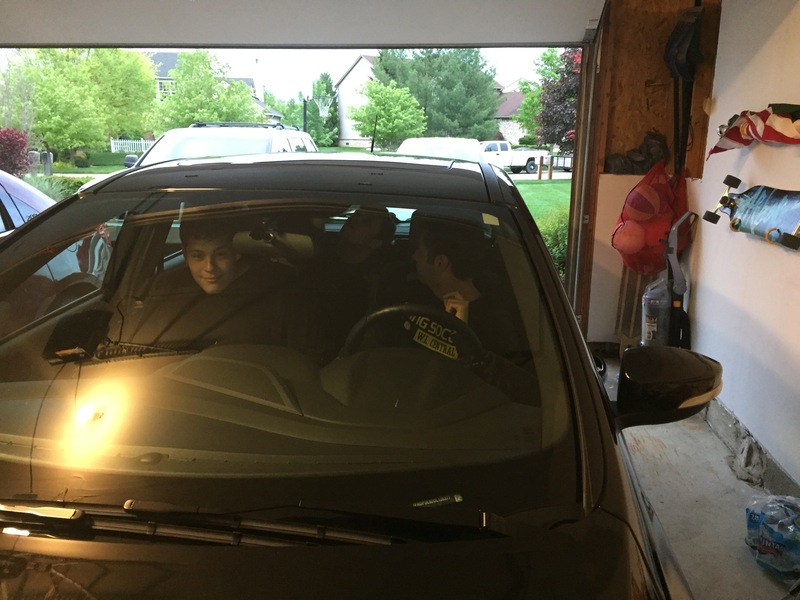 This thread is like a living history book for my car and I hope you enjoy it too. I bought the car used with about 5k miles on it in May 2015. It has since then become my favorite car. It came with aftermarket wheels and tires, plus the stock wheels and tires. The aftermarket set is by Enkei and is my summer set. The stock set for winter. Here is the first picture I got at the dealership. Added 15% tints to the back five windows. Installed the Green Filter. I left the cover off only for this pic. That green looks great. It sounds pretty nice too. 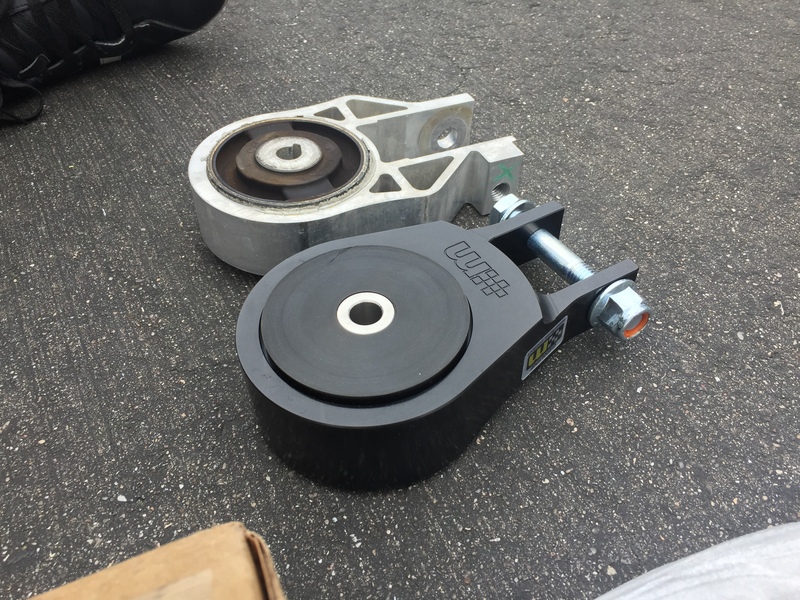 One of my best friends hooked me up with a set (front and rear) of Akebono ceramic brake pads. They work great. I noticed an increase in stopping power and a major reduction of brake dust compared to the stock set. No Pic. The next thing to go in was the Cobb Short shift plate. I set mine at 30% reduction in throw and it feels amazing. It's a shorter throw and it feels tighter. Cobb AP v3 was next on the list. I flashed in the stage 1 93 octane and love the performance gains compared to stock. This was much needed. I took the OBDII port out of the bracket that it is in, connected the Cobb side and let that sit inside the dash. I fed the cable through the hole used to open up the cover. The wire is routed underneath the steering wheel and mounted it on the RHS vent. I will post pictures of this set up once I get the vent clip (currently being shipped here). 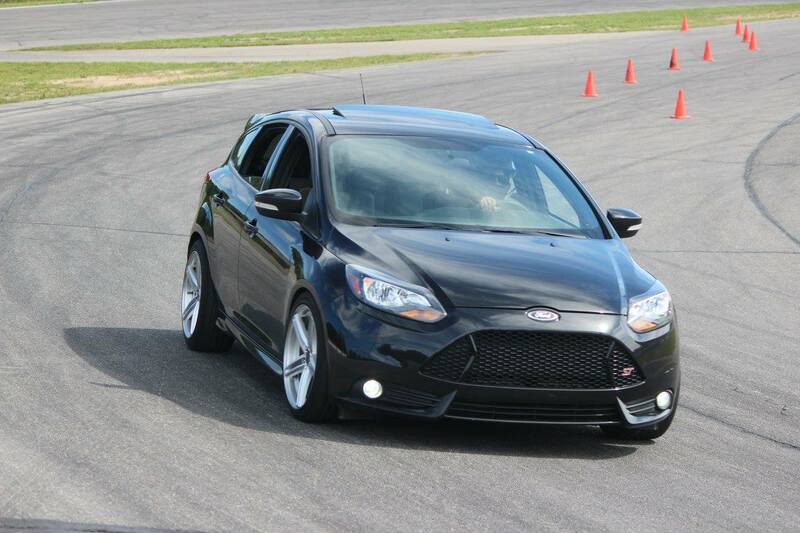 I also have not installed the e-Focus RMM or the Diode Dynamics fog lights. These will both go in soon. Now this is how you make a build thread. Subbed and looking forward to the future. Thanks Will! Glad you are along for the ride. The vent mount came in today so I threw it on there and snapped some pics. 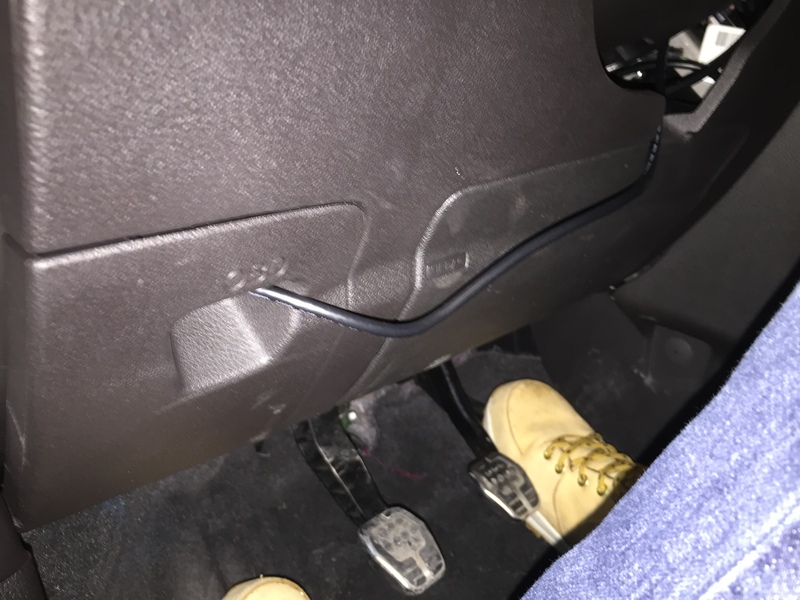 unhook the odb2 port from the car, and you can run the wire behind the lower dash instead of having it come out. 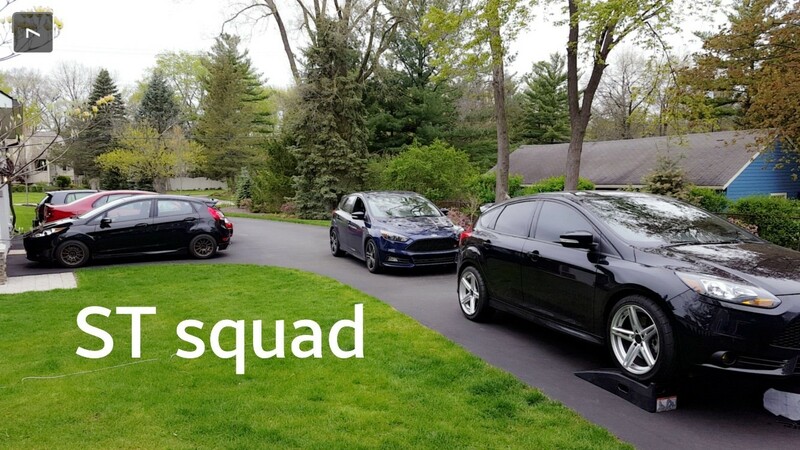 2013 focus ST, mostly stock. Oh cool, I will do that instead. I unhooked the OBD port from bracket so that it would fit in there; I didn't think of routing all behind it. Thanks! 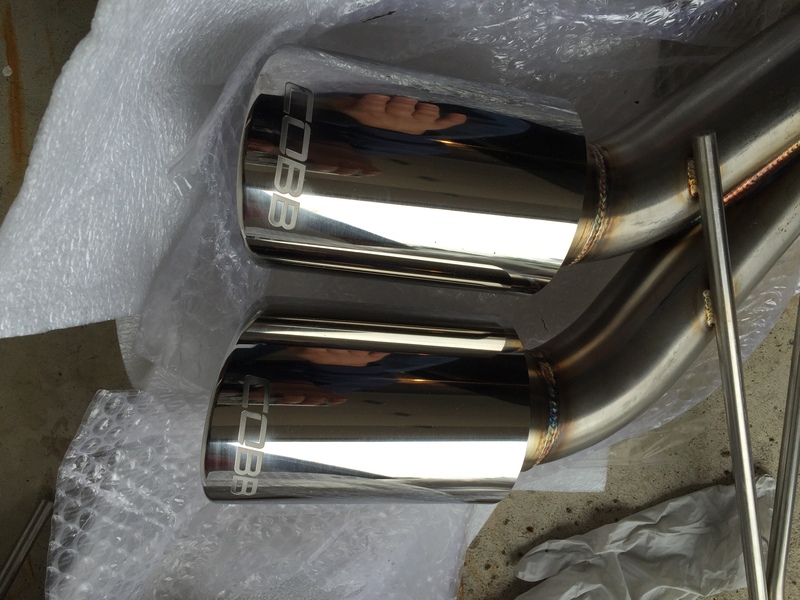 Took a trip over to Deadhook Motorsports the other day and placed an order for a COBB Catback Exhaust. It should be here later this week and will be going on ASAP. Russ from @DHM is an awesome dude and gave @goingnowherefast and myself a tour of his shop and showed us what they do there. I highly recommend going there. Pictures from the install will follow. 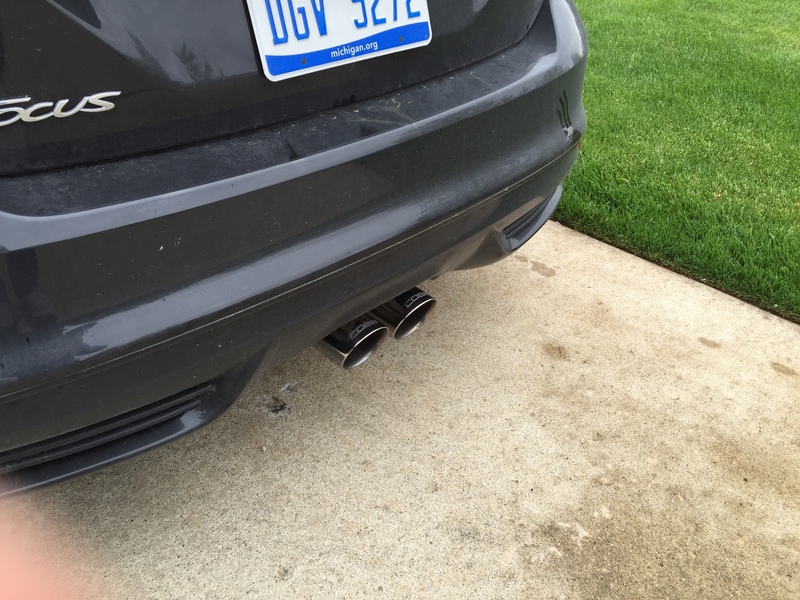 With some help from @goingnowherefast , we are able to install the Cobb Catback exhaust. 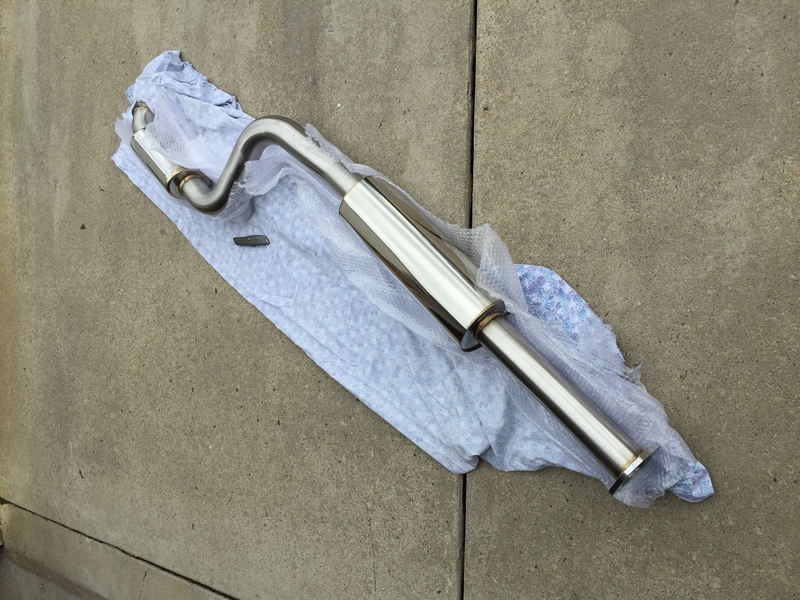 Hardest part of the install was getting off the rusted nuts from the catback to downpipe. other than that, it was a relatively easy job. I grabbed a few pics, dont mind my dirty car. It has been raining for the last week and it actually snowed here in Michigan this morning (wut.) I love the aggressive sound, it sounds perfect under WOT and it is pretty quiet under normal driving conditions. there is some bad exhaust BOOM noise at 3000RPM. I dont often drive around at that engine speed, so it is manageable. Great product and the manufacturing quality is unbelievably good. The welds are secksi. Here are a few pics from yesterday's install. I know alot of people have done catback install write ups, so I will not be doing one; However, If you have any questions about the install, i'd be happy to talk about it! It has been quite a while since I have updated this post. Since the last update (over a year ago), I have made some slight changes. I autocrossed it a couple times last summer and handled amazingly. I can't wait to get out there and run it again this summer. 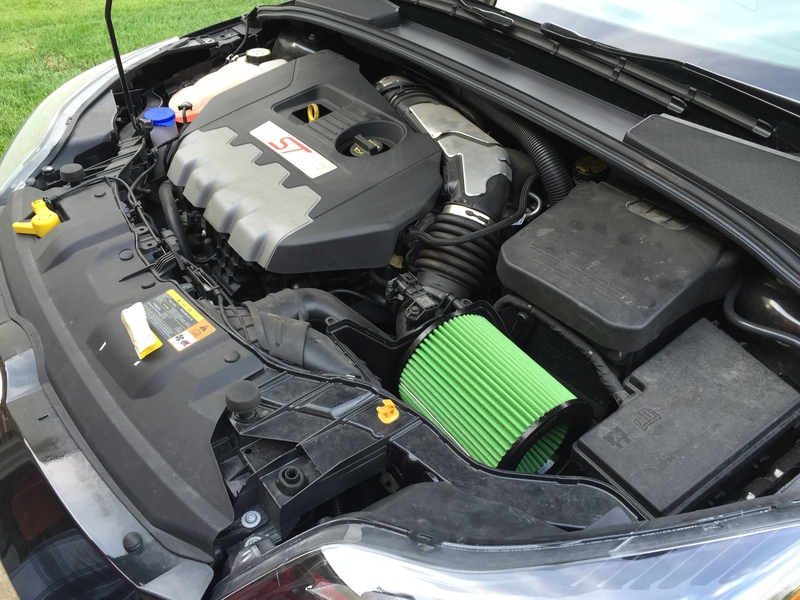 The next mods include a Cobb Cold Air Intake and the CPe, RS Airbox, and Sound Symposer delete. 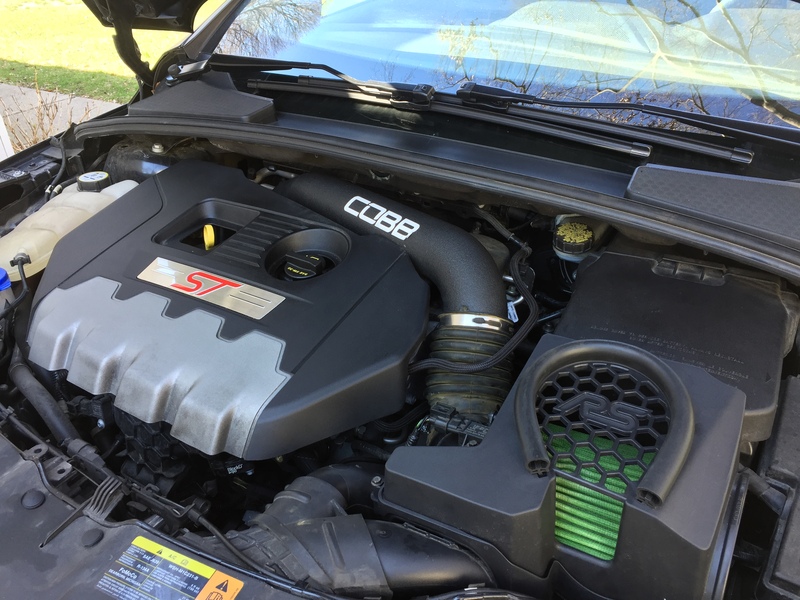 I got the Cobb Intake used and it did not have the silicon elbow. I purchased the JBR elbow and cut it down to fit properly. I have yet to install that. 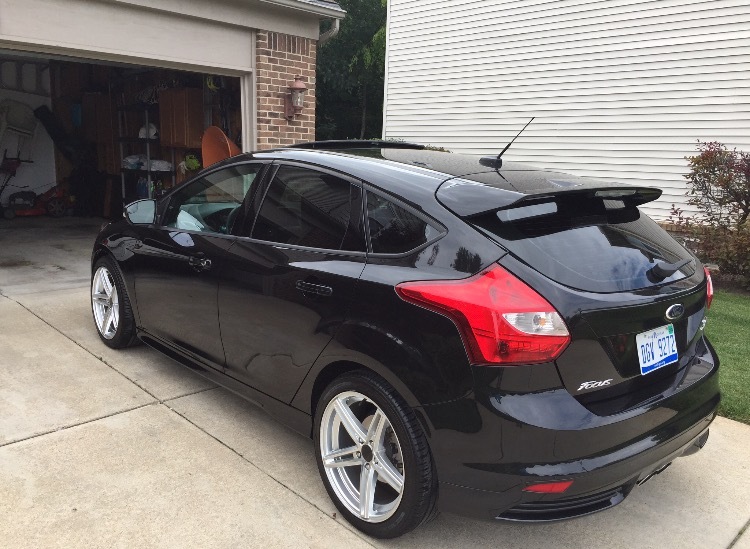 Shadow Art Film in Royal Oak, Michigan did a great job tinting my front windows at 35%. (Pictures below). I finally upgraded the Rear Motor Mount. 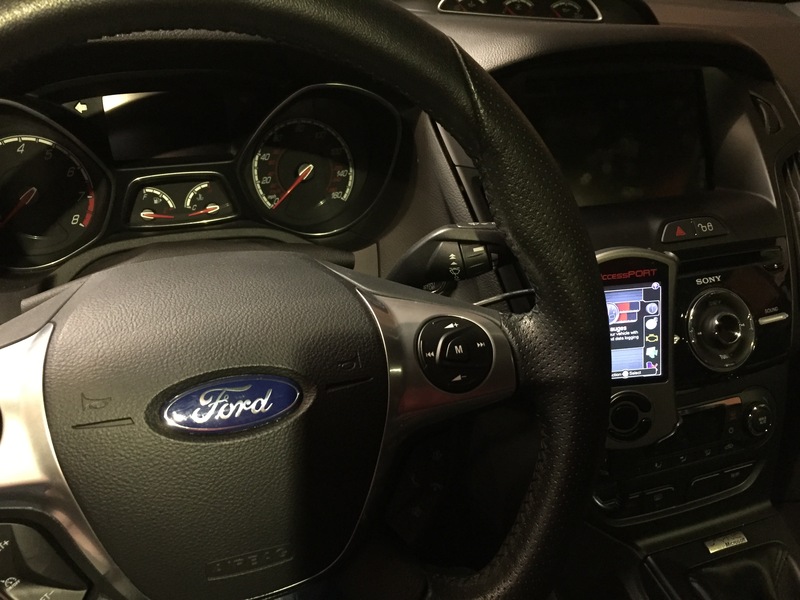 With the help of my buddy, (the same buddy that has helped me do all my car mods - @goingnowherefast ), we installed Mountune's RMM. The mount is awesome, fantastic build quality and the performance improvements speak volumes for the company. 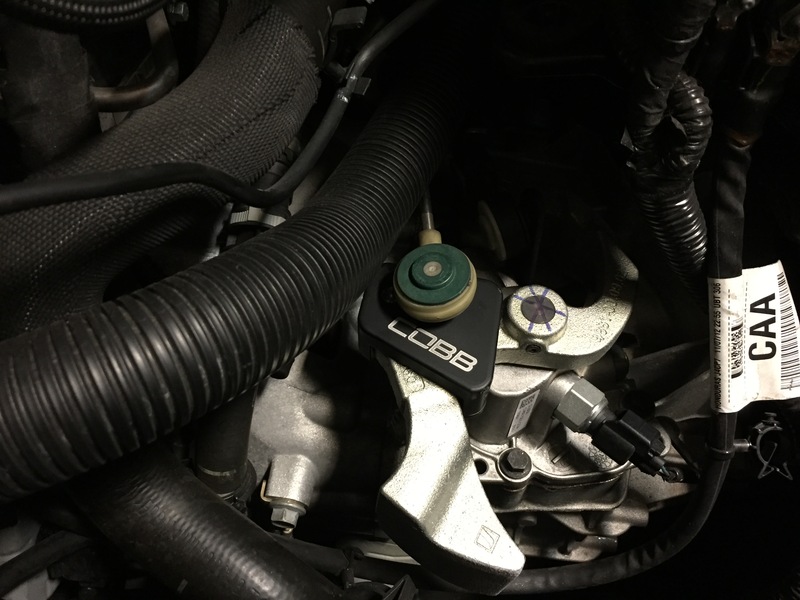 The first 500mi, there was a significant increase in idle vibration, especially with AC on. There was also a resonate frequency at that 1000RPM point that shook the whole car when going from a stop. After putting some miles on it and breaking it in, the issues above completely went away. There is still a slight increase of idle NVH with AC on, but it is not an issue (and that is coming from a guy that is a Powertrain NVH engineer...). The engine moves significantly less during heavy WOT runs and noticeable on start up as well. I highly recommend it. My TB ST2 Build thread.